A great day of training! 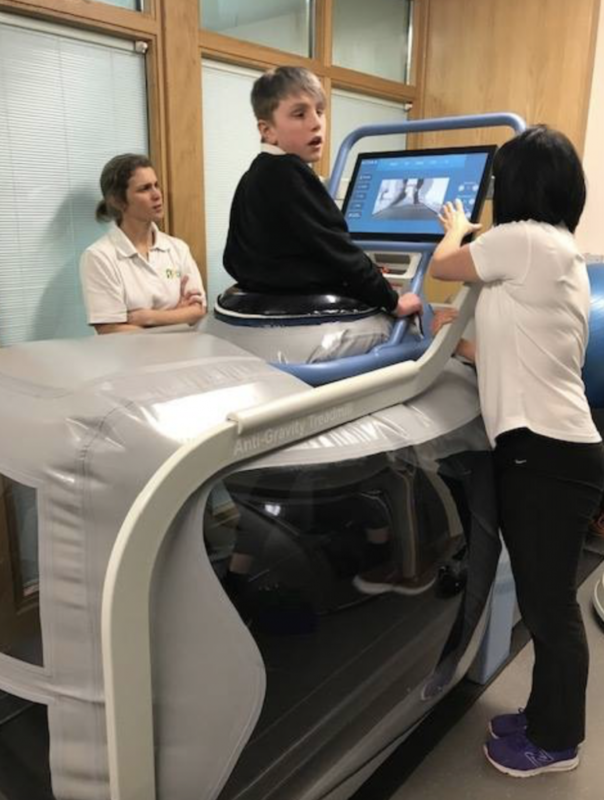 Yesterday I had the pleasure of training the amazing team of Neuro and MSK physio’s at Physiofunction Ltd in Moulton, Northamptonshire, on their new AlterG Anti-Gravity Treadmill. A range of patients (stroke, MS, SCI, ABI ) came in and had a go on the new VIA 400 Model, and all absolutely loved the freedom of being able to exercise and walk in a fall safe environment and without pain! The star of the show yesterday was Mikey Wells, age 14. Mikey has an Acquired Brain Injury (Posterior Fossa Syndrome). Mikey uses a wheelchair and various walking frames but managed an amazing 36 minutes on the AlterG and even managed to run. It was a wonderful moment to witness, Mikey’s mum told me the one thing he has wanted to do was to be able to run again! Yesterday he ran, well done Mikey and everyone at Physiofunction.